UNPO strongly condemns the unjust and immoral decision of the Islamic Republic of Iran to sentence Ramin Hossein Panahi, representative of Komala party of Iranian Kurdistan, to the death penalty. Following his illegal capture on 23 June 2017 by the Islamic Revolutionary Guard Corps, he has sustained extreme torture, which is believed to have led to the loss of his kidney. In attempts to justify its decision and minimize collective sympathy for his release, the Iranian government has painted a false narrative that depicts the victim as having been associated with terrorist plots. In fact, Ramin Hossein Panahi's only “crime” was to to stand against Tehran’s oppressive and ethnocentric policy. ERBIL, Kurdistan Region (Kurdistan 24) – The Iranian intelligence agency informed the Hossein Panahi family on Thursday that their missing son was sentenced to death, and their imprisoned son was sentenced to eight-and-a-half-years, the family reported. 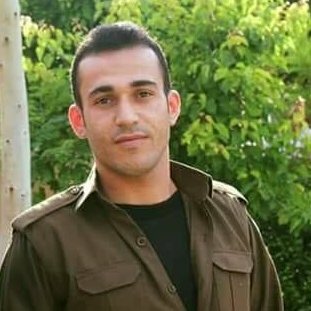 On June 23, the Islamic Revolutionary Guard Corps (IRGC) of Iran shot dead three members of Komala, a Kurdish opposition group, and took an injured Ramin Hossein Panahi into custody but refused to inform his family of his fate or whereabouts. Two of the detainee’s brothers and several cousins were also arrested in a raid by the association shortly after the ambush on Peshmerga in the Kurdish region of Iran, also known as Rojhelat. “After 124 days, Sanandaj intelligence agency admitted to having Ramin in their custody but said we’d never see him again because ‘he would be executed right there,’” Amjad Hossein Panahi, the brother of the detainee stated. “My mother fainted there and was rushed to the hospital,” he added, explaining that his family appealed to authorities in person 23 times until they were willing to say a word about Ramin. The denial of family visits and medical attention to prisoners is against Iran’s law as well as international laws. Amnesty International called on Iran to reveal the fate and whereabouts of the five Kurdish men who have been subject to forced disappearance. “Enforced disappearance is a crime under international law and places individuals at serious risk of extrajudicial execution, torture, and other gross human rights violations,” Amnesty International said. Iran Human Rights Documentation Centre, Association for Human Rights in Kurdistan of Iran-Geneva (KMMK-G), and other rights groups are also urging Iran to release the political prisoner and provide him with medical attention and a lawyer. Afshin, who was shot three times, was reportedly transported to a hospital in Sanandaj, the provincial capital of Kurdistan, but was then taken into custody half an hour later before receiving proper treatment. The Hossein Panahi family has lost several members in the past few years to Iran’s suppression of the Kurdish opposition. They are currently grieving the loss of one of their sons, Sabah Hossein Panahi, while overwhelmingly anxious about the fate of their child, Ramin, and the imprisoned one, Afshin.